Rooftop Rhythm began in Spring of 2010 when Jacob, Nate, and Ashley began looking for a bass singer to complete the group. After a short search, Steve was brought into the fold and things took off. The quartet honed their style through practice, recreation, and a rough two weekends roofing a garage. 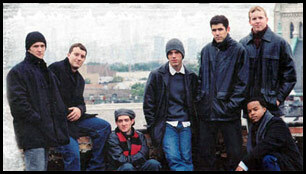 Sure, Steve nailed Jake’s jeans to the roof, but the quartet survived and became close friends and hard workers. In July, their hard work paid off when they finished 49th in the world at the Barbershop Harmony Society International Convention. Rooftop Rhythm has sung in many venues, including contests, barbershop shows, corporate meetings, sporting events, and private functions. It’s rare for these four gentlemen to turn down the opportunity to show folks how great a cappella music can be. With a varied repertoire that includes barbershop, jazz, opera, Americana, and gospel, you’re sure to find something you like. The Brotherhood Singers (from Covington, KY and Cincinnati, OH) are among the very few remaining quartet style groups that still perform in the old-school acappella fashion. The Singers specialize in the intricate and emotional four-part harmony "jubilee" style pioneered by such legendary groups as the Dixie Hummingbirds. the Golden Gate Quartet, the Soul Stirrers and The Harptones of Cincinnati. 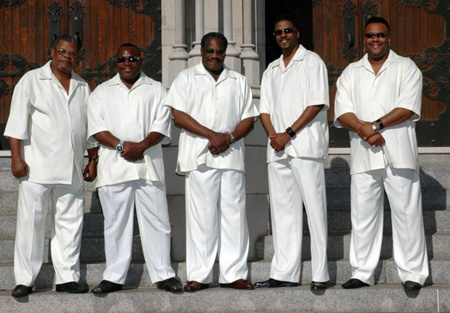 The Brotherhood Singers started singing at the 9th Street Baptist Church in Covington, KY in 1986 and has performed in churches, secular music venues and television spots throughout the U.S., Canada and in Spain (which they have toured 17 times). In 2010, they were nominated for "Quartet of the Year" at the 1st Annual "I Hear Music in the Air Gospel People's Choice Awards", sung in the Internet T.V. series www.j8dedtv.com and movie "Easy Rider 2, The Ride Back" and sung on Fox 19 four times (including twice for the Christmas season). Fresh off their 75 city national tour, Home Free is a distinctive combination of comedy and music featuring five male vocalists with extensive theatrical and musical training. Each performance showcases a new, animated, and electrifying experience that draws audiences in, and leaves them amazed. With a genre of music that covers an expansive mix of pop, jazz, classical and country, all songs are done with only the human voice and microphones, resulting in a truly unique and incredible sound. Home Free has performed for a diverse and extensive clientele, ranging from the Minnesota Vikings, to Fortune 500 companies, Celebrity and Norwegian Cruise Lines, Allied Concert touring services, the Dutton Family from America’s Got Talent and many, many more. It also devotes its time to educating and encouraging music in the public schools through innovative workshops and concert fundraising. To date, its programs have already raised tens of thousands of dollars for schools in Minnesota. Members: Chris Droegemeuller, Eric Derks, Brian Bellof, Brad Stephens. 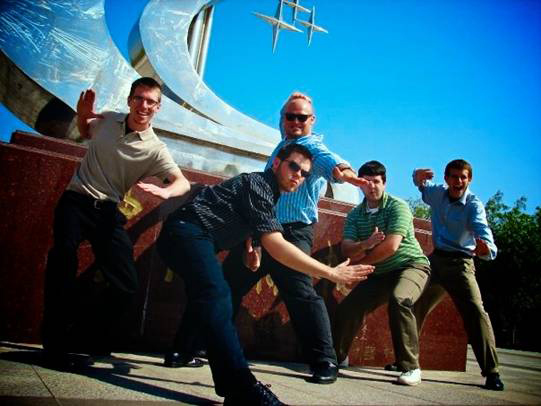 5one is an up-and-coming pop/rock a cappella group consisting of five male Millikin University music students. Established in April, 2006, 5one accepted an offer to entertain tourists at Navy Pier in Chicago, IL that following summer. Since then, 5one has astounded audiences and encouraged musicians in the Chicagoland metropolitan area. Currently based in Decatur, IL, 5one has released their first album, "Get It" through their own student-run record label at Millikin, First Step Records. 5one is very excited and honored to be a part of this fine competition and are anxious to perform for you! In the summer of 2000, elmoTHUMM began performing for a few local events to rave reviews. Today, elmoTHUMM’s hard rockin’, high energy, fun filled show is featured entertainment at many of the Midwest’s top fairs, festivals & events. Their arrangements of such classics as “Some Kind of Wonderful”, “Come Go with Me”, “Ain’t that Peculiar” & “America the Beautiful”, using only their voices & percussion, will leave you shocked, amazed & applauding for more. For booking information visit www.elmoTHUMM.com or call Greg at (248)676-0886. 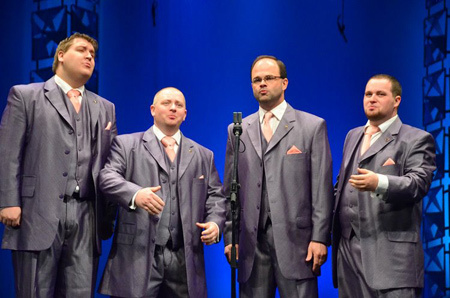 Fiveplay, Chicago’s 2005 Harmony Sweepstakes Champions, is not your typical vocal group. In a world where musical trends change on a weekly basis, Fiveplay’s style is timeless and enduring. 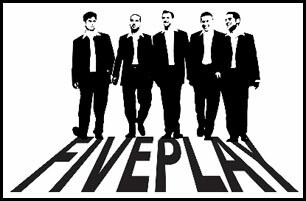 With fresh interpretations of the standards of yesterday, classic arrangements of the hits of today and their own critically-acclaimed original compositions, Fiveplay demonstrates stunning versatility and razor-sharp precision with every song. Their diverse repertoire is virtually a 20th century songbook, covering everything from Sinatra to The Temptations to the Beatles and U2. More than simply a musical showcase, Fiveplay’s refined choreography and unique brand of humor will entertain audiences of all ages. When the men of Chapter 6 began singing together in college, none of them had any idea that in just three years time, they would have performed over 500 concerts in 25 states and sold over 14,000 CDs. 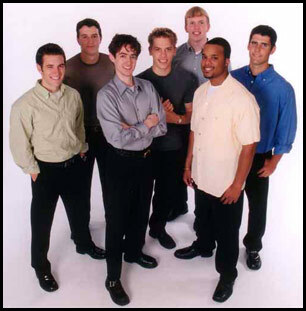 As the 2001 International Collegiate A Cappella Grand Champions and two-time winners of the Chicago Harmony Sweepstakes, Chapter 6 quickly made a name for themselves in the a cappella music community. 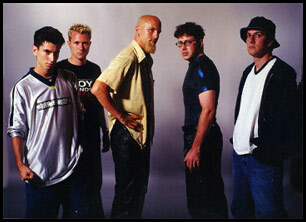 In 2003, the group's third CD, Christmastime, was nominated by the Contemporary A Cappella Society for Best Holiday Album and Song. With their tight vocal harmonies, award-winning original arrangements, and diversity of repertoire, it is easy to understand the group's appeal. Just off a 250-show run at Branson, Missouri's Celebration Theatre, Chapter 6 is gearing up for another busy year. The group will again be touring, so please check the website for specific dates and locations. Chapter 6 looks forward to future opportunities including returning to Branson to perform at The Opera House Theater, appearing at the Kathy & Judy Listener Convention in Chicago, and performing The Symphonic Pops Consortium's "The Nifty Fifties" with numerous symphony orchestras across the country. In their spare time, the guys will be recording their fourth CD entitled "Swing Shift", which is due to be released in April 2004. 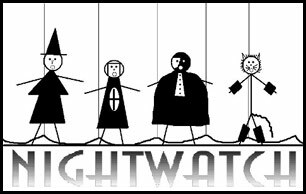 Nightwatch was formed in December of 1998 as a result of a lost bet, or at least it seems that way sometimes. Matt (a fireman  ask him to show you his Dalmatian), Paul (international secret agent/sock garter model), Dan (the new voice behind that AFLAC duck) and Scott (not sure what he's doing this week) have been verbally berating each other ever since meeting in Greendale WI's Midwest Vocal Express, also known as the 2002 5th Place Bronze Medallist Barbershop Chorus. 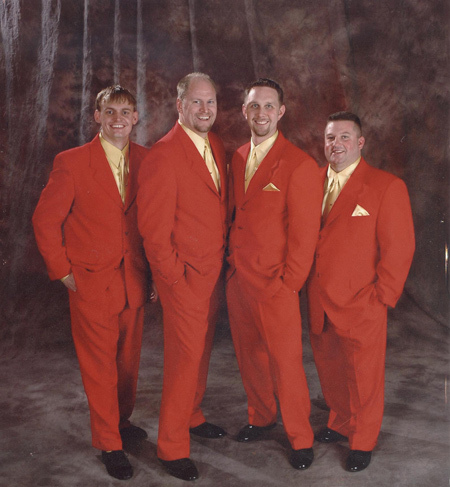 Their consistent refusal to sing any song seriously actually paid off in August of 2000, as they were crowned the Buckeye Invitational Funny Bone Comedy Quartet Champions after performing their now infamous (this means "more than famous", right?) Diner Set in front of tens of people in Columbus OH. Their latest achievement occurred in April of 2001, when they duped an esteemed judging panel just enough to capture the Land O’Lakes Division I Quartet Championship. No matter what the venue, you can expect high-quality singing and a wide array of musical styles from this group. What you can't expect is for them to go to bed early and to have serious conversations with each other, or anyone else for that matter. Chapter 6 the 2001 Grand Champions of The International Collegiate Competition of A-cappella music, as well as Chicago's youngest-ever, Harmony Sweeps Champions, are finally out of college and making their professional debut! Memorable performances include ABC's Good Morning America, Rockapella 's Big Millikin Event, and The University of Michigan's Acappalooza 2001. On the heels of releasing their second CD, Chapter 6 Live!, these six, young men, and their award-winning arranger, Mark Grizzard, have teamed up to share their passion for music, their witty humor, and their message of Hope and Love with their many fans. Voice Trek is described by critics as "world class," and is known for superb blend, complex harmonies, and creative musical arrangements. 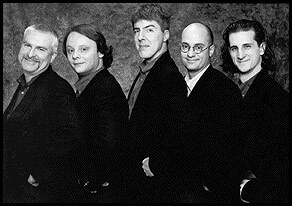 Voice Trek is a well-respected ingredient on the Minnesota music scene, and is a two-time winner of the Minnesota Music Award's "Best swing and mainstream jazz vocal group". 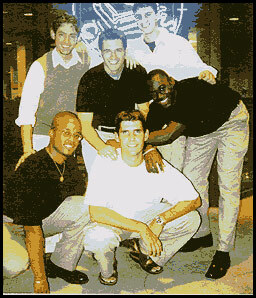 This vocal quintet was formed in 1987 and continues into its fourteenth year with all the original members. 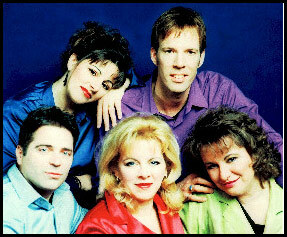 Voice Trek consists of three sisters, Shelley (Soprano), Vicki (Second Soprano), and Rae Plaster (Alto), Denis Allaire, (Music Director/Tenor) (a brother-in-law), and Kevin Smith (Bass), (a brother by association!). This "family" of singers has an eclectic repertoire, including jazz, classical, sacred, folk, parodies, and children's favorites. They have toured nationally and internationally, (including Montreal & Montreux) presenting concerts and conducting jazz residencies. Until last year, the group worked with a five piece instrumental backup band. This past year Voice Trek ventured into the exciting, fulfilling world of a cappella singing. Chapter 6, Millikin University's premiere, a cappella ensemble, is a self-contained group of close friends and musicians. Comprised of six singers and one arranger, Chapter 6 sings a medley of original arrangements from jazz, to gospel, to pop rock. What started out as a University class in 1995, Chapter 6 Ensemble was discontinued in 1998, whereupon the group became an independent organization, student directed and produced. Since that time, Chapter 6 has been blessed with growing success. Chicago Voice Exchange have been entertaining and confusing audiences for over 8 years-- from corporate to school events, from low brow to high (and even uni-), their insouciance and self-deprecating humor leaves a trail of smiles and broken dishes wherever they go. Winners of the 1995 and 1997 Midwest Harmony Sweepstakes, they just missed a bronze in Synchronized Swimming at the last Summer Olympics. 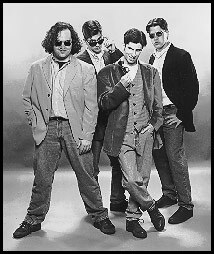 From January 1997 through August 1998, the Blind Man's Bluff foursome of David Wilner, Drew Breen, Nick Geisinger and Chaz Ruhl redefined Chicago-style a cappella rock. After five weeks together, they won Audience Favorite at the 1997 Chicago Harmony Sweepstakes. 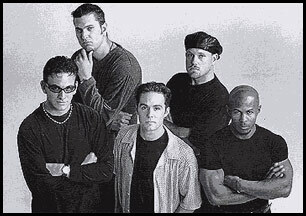 Their debut CD, Shades, has been received to national acclaim, including a place on the 1998 Primarily A Cappella bestsellers list. Last year, Bluff established themselves as the best in the Midwest as the1998 Chicago Harmony Sweepstakes Champions, then went on to win Third Place at the National Competition. In addition, Bluff's own "Wake Up Call" took the prize for Best Original Song in the nation. Today, Blind Man's Bluff has a new look and sound, with three new members since last year. David and Drew are joined by Lyell Haynes, Paul Donnelly, and Owen Thomas, and audiences nationwide agree that the new BMB fivesome is better than ever. Their trademark "powerhouse" sound is coupled with fierce vocal percussion, creating a modern rock / funk / R&B cross that few can duplicate. 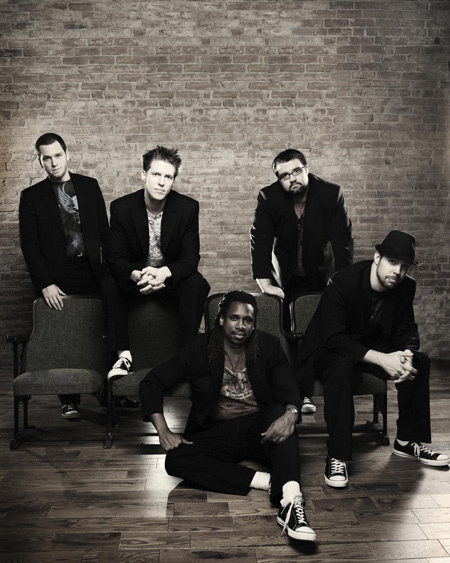 Bluff continues to tour nationally, demonstrating nightly why they are Chicago's premier vocal rock band. 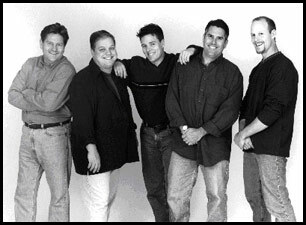 Fourth Avenue is a five man vocal band that performs a diverse repertoire including pop, soul, R&B, gospel, doo-wop, and jazz. Since their start in 1993, they have shared the stage with such national acts as the Beach Boys, The Temptations, and Blessid Union of Souls. They have also performed at Riverfront Stadium doing preshow and the national anthem for the Cincinnati Reds, appeared on various radio and TV shows, and toured the college market doing gigs that are booked by DCA Productions based in New York City.